Made to order only. 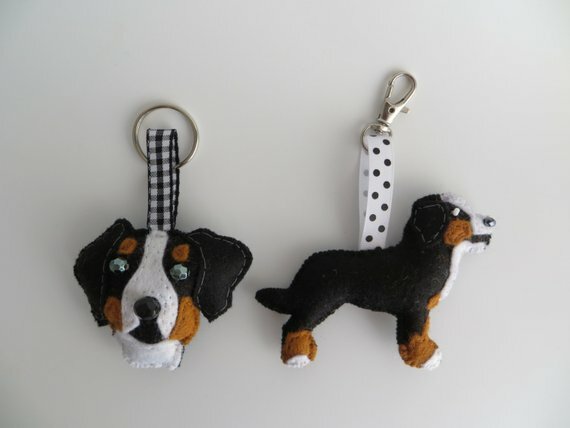 Bernese Mountain dog felt keyring. 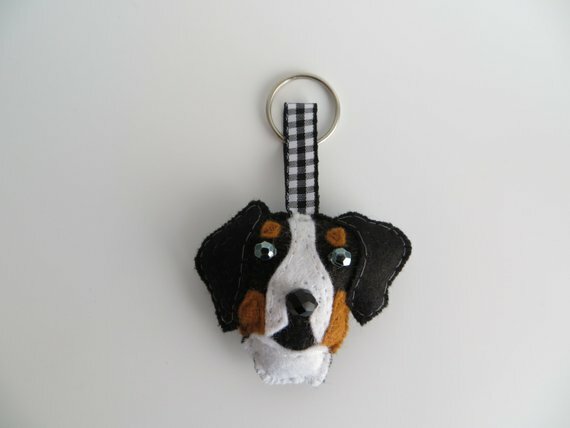 Designed and hand sewn completely by me, this keyring was made after a request by Jo. H6cm (excluding hanging loop) x W6.5cm. Made from felt and filled with polyester stuffing. Black jet faceted bead for the nose and gunmetal grey faceted beads for the eyes. Black and white co-ordinating gingham ribbon and keyring attachment. Detailing to one side only. Also available as a bag charm in full body design.